I was not going to respond any more about the libelous and slanderous posts being perpetuated by the anonymous Think Mexican profile, but since this coward has now begun to personally attack dear friends, I will respond. This will be brief and this will be to-the-point: Think Mexican is currently consciously libeling myself and Latino Rebels. He/She/It is acting with malice. It is simple as that. I have already reported these false posts to all the social networks that have allowed such content to be published. TM has manipulated images and my professional resume (classless). Has “proof” that Jorge Ramos paid us to publish a piece about him (hilarious). Has said that Latino Rebels are in a partnership with Fox News Latino (umm, that is another Latino page). Has said that we are in a marketing relationship with Latinos in Social Media (LATISM). That statement alone is beyond funny, and just sad. Has “proven” that we are working for Televisa because the head of Televisa’s Twitter page is following us. BTW, we are also followed by a guy who looks like Yoda. For further “proof,” Think Mexican is using a published ABC News profile from earlier this year. That article initially contained several factual errors. After that piece was published, I alerted the reporter, and ABC News had to revise the piece because of those factual errors. ABC News never publicly said that such revisions and corrections were made. During that time, I also expressed my extreme displeasure about how the reporter portrayed my professional career. There was a suggestion that I was a communist (silly) and that Latino Rebels was being funded by bigger clients (since I and the CEO/CFO/GM of Latino Rebels, I can tell you that such a “fact” was also false.) However, unlike Think Mexican, ABC News displayed no malice. It was just sloppy reporting, and I moved on, after letting the reporter know that the piece missed the mark. But if you want to know, in the past three years, my clients (who bill me through Latino Rebels LLC) have been: four educational curriculum companies who hired me to develop PreK-12 programs; a science curriculum company that needed Spanish translations; a manufacturing company who uses my social media expertise as a community manager; and a major media company that retained my company to run an educational awareness campaign. 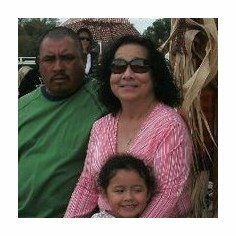 I have also worked with several friends who needed help in amplifying their messages: whether it is a petition about immigration reform or a story about a young man dying at hands of Bakersfield, CA police. That is what Latino Rebels does. We share untold stories. We don’t run ads on our site and we don’t make money off the site. What the critics don’t understand and cannot understand is that I also founded LatinoRebels.com as a collective of about 20 people. These are special people who do what they do for the love of the game. They are amazing, and they are my family. I love them, and I would defend them anytime, anywhere. We work really hard to pay our contributors, and there is no secret marketing agenda. The critics just don’t get it because they continue to try and categorize us through a traditional business model. They can’t, and it perplexes them. Think Mexican lies, and to be honest with you, I have really have no respect for anyone who hides behind an anonymous page. The sad thing of all this is that Think Mexican is falling into the trap that the mainstream wants: keep them all divided, so they can still be conquered. I personally believe in a lot of what Think Mexican does, and respect the content, but I don’t respect personal attacks and fictitious accusations. Think Mexican celebrates hate and is cheering for failure. I choose love and celebrate my friends. Think Mexican can call me any name in the book, and he/she/it can disagree with me all he/she/it wants, but spreading fabrications and claiming that it is TRUTH is a slippery slope. But what do you expect from an anonymous person who is actively promoting a campaign for me to fail? I am Bronx and Think Mexican lacks courage and character. Dignity comes from honesty and being real. How can an anonymous profile be real when he/she/it is anonymous? But if he/she/it wants to keep hating me, I welcome it. It only makes me stronger. I started my career 25 years ago as a journalist, and I have been filing/editing/reporting new stories for the last five years through good old-fashioned reporting. My blogs have kept my love of journalism alive. Many of those stories made national news outlets. That is called hard work and dedication, and such a philosophy is not driven by money. To be honest with you, at 44 years old, I don’t do this for money. I do this because I love it. Now I have returned to journalism. In this economy, I am blessed to have a steady job again. Such an opportunity has grounded me, and I feel like I am 23 years old, when I was young editor working for a company that was family to me. For a long time, that sense of family was lost, and the Rebels helped me find it. This is the last thing I will ever say about this sad situation. And if Think Mexican continues to lie, the next response won’t come from me. 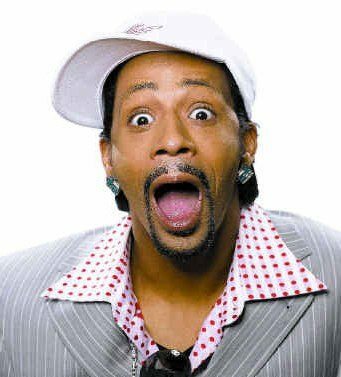 CNN reported earlier this morning at 4:46 AM EST that comedian Katt Williams, who has faced a social media heat storm for his 7-minute Mexican rant at a Phoenix show this last week, has issued an apology for his actions. “I sincerely appreciate my fans within the Mexican community and would never intentionally go out of my way to offend them,” he added. To many, history can overwhelm, and in the information age of instant news and events, history can crush you quicker than a tweet. Yet, ironically, as we speed through our daily lives, the appreciation to slow down one’s pace and actually pause to study, breathe, and absorb history has never been more gratifying. With a renewed interest in the 150th anniversary of The Civil War and the countless of books that chronicle and dissect it, another 19th century war —the Mexican American War (or the First American Intervention)— has begun to gain more scholarly attention. The reasons for this are simple: as the United States of the 21st century grapples with a nation that is clearly getting more Latino and more Spanish-speaking, learning more about the Mexican American War could provide a better historical perspective of our country’s complex relationship with our southern neighbor. Michael Hogan, author of the exceptional THE IRISH SOLDIERS OF MEXICO —a 1998 edition that is now available in a 2011 e-book and paperback formats— and a foremost expert on the US-Mexico conflict, achieves what very few scholarly historians can accomplish: examine historical events and seamlessly synthesize those events into a prose that is readable, informative, thought-provocative, and perspective-changing. Hogan’s chronicles of the famed San Patricios, a battalion of mostly Irish Catholic soldiers who deserted the US Army to fight for Catholic Mexico, with an attention to fact and historical detail. Yet at the same time that the reader learns of this heroic group of fighters who valiantly defended the Mexican side even during defeat, Hogan weaves some of the most concise and comprehensive history of the war, from its origins of new Texans rebelling against the Mexican government and exploiting the United States’ belief in expansion to the chronicles of a bloody struggle that claimed thousands of lives. Not only do we learn of how the San Patricios were seen as heroes to the Mexican forces but betrayers and traitors by the United States (leading to the execution of most San Patricio survivors), we are treated to a glimpse of a time when pre-Cvil Wat America was at a crossroads. Thus it is that little is known in the United States about the group of Irish soldiers who fought for the Mexicans during this war. Shadowy and obscure figures, a barely legible footnote in American history, they enjoy widespread acclaim as heroes in Mexico. They were known as the San Patricio Battalion and they carried in battle a green banner with the Mexican eagle on one side and the image of St. Patrick and “Erin Go Bragh” on the other. These “Soldiers of St. Patrick” were decorated for valor after capturing American cannon at the Battle of Buena Vista, and for a last ditch defense of the Convent of Churubusco in Central Mexico in the final days of the War. While the unit was not exclusively Irish nor Catholic, its distinctive flag, its name, the idealism of the group and its esprit de corps was central to the values of both Catholic and Irish which included among others: (a) defending a weaker country against a powerful aggressor; (b) defending a Catholic nation against a Protestant invader; (c) feeling comfortable in the ritual and symbolism of Catholicism as expressed in Mexico; (d) inspired by shared values to transcend whatever individual weaknesses they exhibited prior to their acceptance in the group; (e) willing to fight to the death for what was obviously the losing side. Hogan delivers with a historical masterpiece, one of the best books about US-Mexican History since John Womack’s ZAPATA AND THE MEXICAN REVOLUTION. The affinity between Mexico and Ireland is a special one. Just ask The Chieftains and Los Tigres del Norte. THE IRISH SOLDIERS OF MEXICO can be found on the Condor Books Bookstore. FTC Disclosure: I received a free copy of this book to review from Condor Book Tours. I was not required to write a positive review. The opinions I have expressed are my own. Comedian Katt Williams, who made a name for himself on BET and movies, faced a heckler last night at a comedy show in Phoenix. When he confronted the heckler, Williams found out the person was of Mexican descent and began to get out of the comedy and go into a racist rant that is hard to describe. Here is the video of the performance.